The Rector of the University of Dschang, the Director of University Accreditations and Quality, and the Dean of The Faculty of Sciences of the University of Dschang are, each in his capacity, responsible for the implementation of this decision which shall be registered and published in English and French wherever need be. 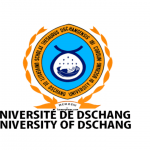 Biomedical Sciences program Entrance 2019-2020: Dschang University Admission into Level 1 Training Professional Program in Biomedical Sciences at the Faculty of Sciences. 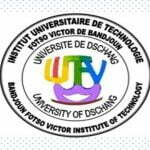 LIRE: IUT-FV of Bandjoun Results 2015: Professional Bachelor Results into the Second Continuous Training into the Professional Bachelor of Technology of the Institute of Technology ( IUT-FV ) FOTSO Victor of Bandjoun, University of Dschang, for the 2014-2015 academic year.